Each and every school portrait is taken by a trained professional photographer with the most up to date digital equipment. Every photo we take is processed, printed and packaged right here at our lab in Davison, Michigan. All of our photographs and products are backed with a 100% guarantee. Michigan based, all products produced in Michigan. Operated by a former High School Principal and teacher. Easy to use Pre-order and Reorder online. Green screen photography allows parents to view and change their background with a single click. High quality prints with a wide variety of packages and extras. Students can create their own package, they do not have to buy a full package to purchase pictures. 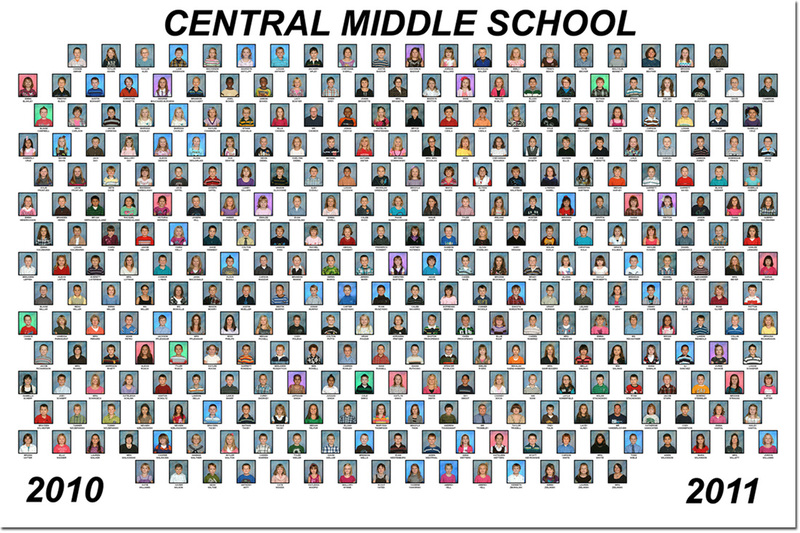 We provide your school with picture-based tools and software to improve productivity and save time. We are extremely flexible with any needs your school may have and work with you to fulfill any request. 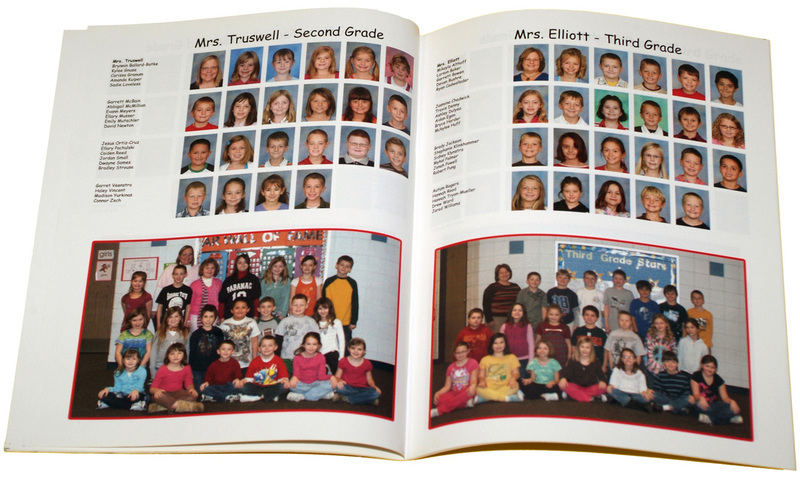 Fully customizable full color yearbook. Thick PVC student ID's with bar code and student information. 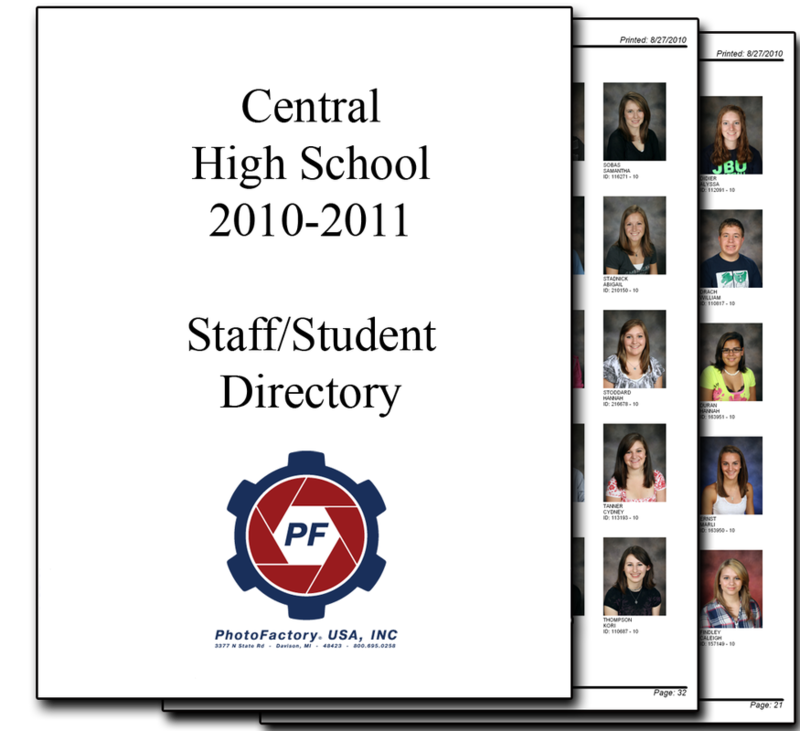 Student directory's in 3 ring binder. Visitor passes and sporting event passes. All school composites, senior class composite. Classroom group and club pictures for yearbook.